My End of the Year Holiday Sale is on Now! December 31, 2017 11:59pm EST! Please Visit THIS POST for more details! *The Sale is 25% off of all of my Patterns for Purchase until December 31, 2017 11:59pm EST! No Coupon Code Required! 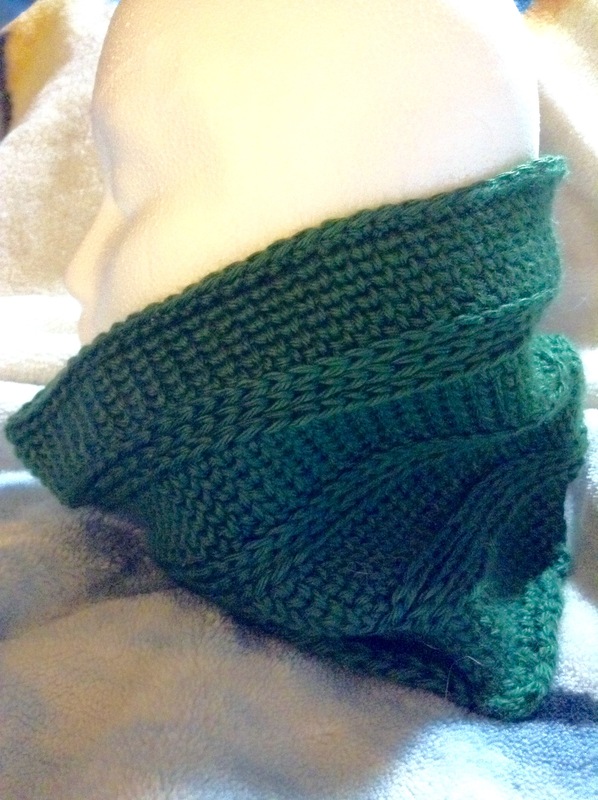 *Sale only Valid on WordPress and Ravelry. Unfortunately, I do not have any photos of the Dragon Scale Shrug in the Plus Sizes to share. If anyone has made, or will be making, the Dragon Scale Shrug in the Plus Sizes, I would love to feature any photos of it you have with full credit to you for your photo(s) (and if you have a crochet blog, I can link to that also) here on my Dragon Scale Shrug Plus Sizes page. If you are interested, please contact me at midknightstarr@gmail.com so we can discuss the details. Still Here! and my End of the Year Holiday Sale is Coming up! Sorry for the inactivity this year. I had a lot going on with dealing with my health issues, home, kids, finishing the slipper socks for my sister in-law, and a huge project for my Uncle (which I will be making a separate post about at a later date. With pictures!). While working on the project for my Uncle, I had an idea for a bag that I have been working on on and off for awhile when I needed a break. 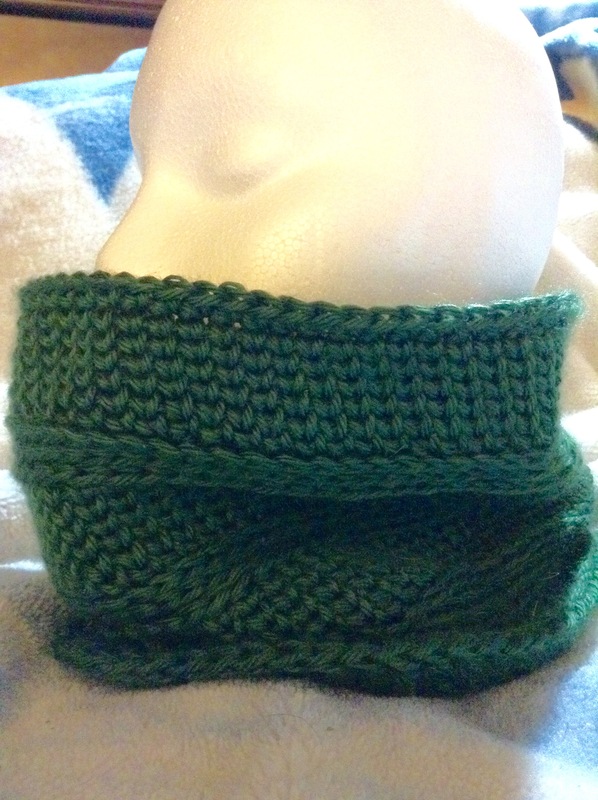 I haven’t decided yet if I am going to write a pattern for it yet though. I’m still working on figuring out how I want the bag to be. I made 2 already, but there are elements to it that I want to change and have 3 different colors already started. 1 is a solid color in Lime Aide (nice bright springy green), the 2nd is a 2 color in black and dark grey heather, and the 3rd is a 2 color in brown and sky blue. The ones that I already finished, a 3 color cross-body shoulder bag, and then a 2 color backpack that I’m sending to my mom. I’ve been using the 3 color one and it’s helped me see what I would like to change in the construction of some parts of it. The Knee-High Slipper Socks I made for my sister in-law I did write a pattern for that was was thinking about selling, but I don’t have any good photos for it. 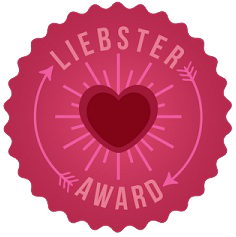 I really should get it tested some more, but I haven’t had any luck with reliable testers (except for 1 friend of mine, who was great). The slipper socks are knitted in worsted weight yarn and was made to fit up to a 20 inch calf, a wider foot width, and the foot length is customizable. My End of the Year Holiday Sale is coming up very, very soon! It will be starting on the 1st of November, 12am EST, this year! Ending on December 31, 11:59pm EST! 2 months long! 25% off of All Patterns! The sale includes everything in my Patterns for Purchase page. I hope everyone had a good 2017 and a very Happy Holiday Season coming up! Keep an eye out for my upcoming blog post on the huge project that I have been working on this year! 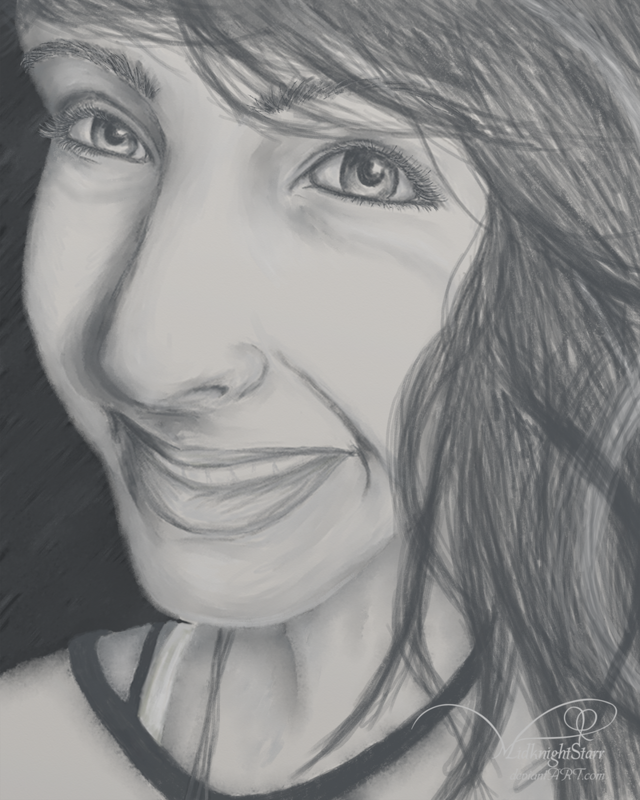 I know I haven’t been active for pretty much almost the entire year. I really didn’t do very much crocheting at all, the projects I had started in 2015 I wasn’t very happy with any longer and the one special order I had was a bit discouraging for me, plus my health had been on a major roller-coaster also. Both physically and mentally. At that point, just looking at yarn caused me stress, so I just really needed a break. Badly. I do not know when I will be producing new patterns again yet. I think I need to go back through all of my UFO’s, re-evaluate them and decide which I will finish and which I will frog. I also really need to go back though my yarn stash and reorganize it. About that sale. I realized that I missed my annual Holiday Sale, so I decided to have a New Year Sale. Starting on January 3, 2017 at 12am EST all of my Crochet Patterns for Purchase will all be 25% off until January 31, 2017, 11:59pm EST. This sale will be valid only through my Ravelry Store. Purchase can be made through the Patterns for Purchase Tab on my WordPress site also, since the”Buy Now” buttons will take you to the Ravelry Shopping Cart. 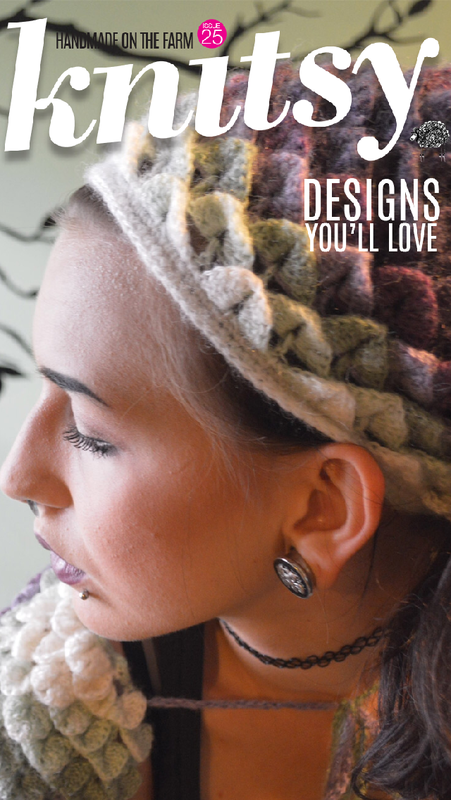 A WordPress Exclusive Free Pattern! This design happened because of a need for a quick to make and useful Christmas gifts. I had come across the Waistcoat Crochet Stitch on Pinterest a couple of years ago and liked the look of it; like a knitted stockinette stitch, but not, it’s not Tunisian either, just a simple single crochet, but worked differently. From what I read, it is a vintage crochet stitch come back. 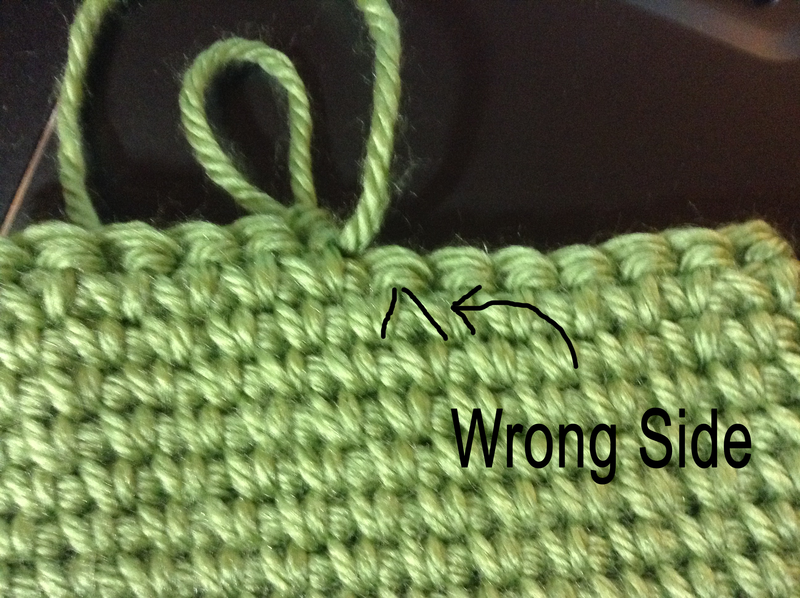 It is also known as the Center Single Crochet and the Crochet Stockinette Stitch. 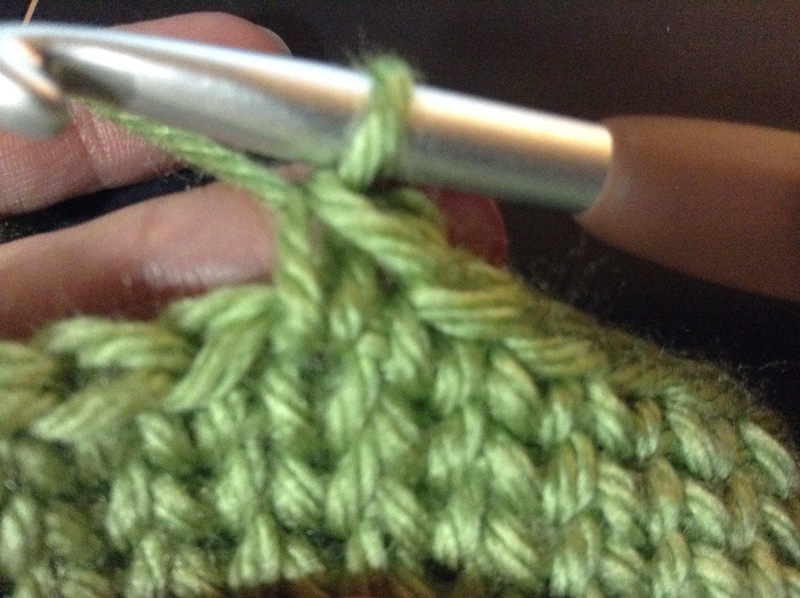 The Waistcoat Stitch makes for a nice warm fabric using worsted or aran weight yarn when finished. 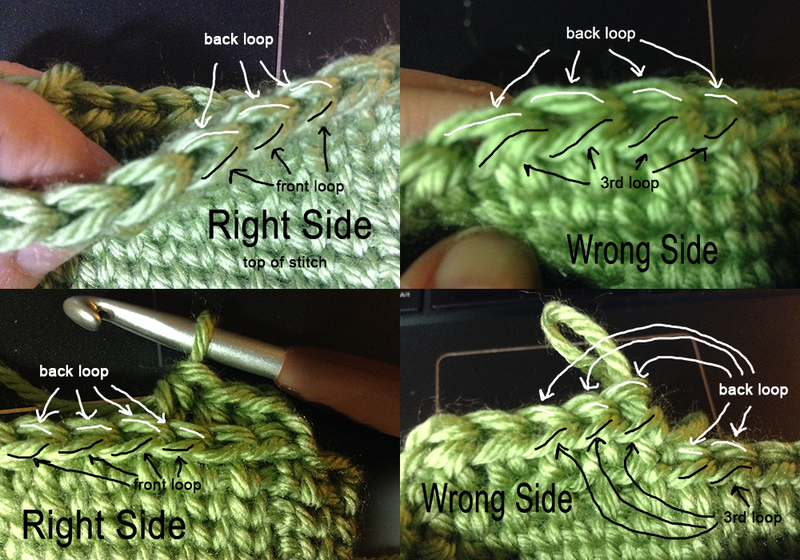 It is much easier than it looks, but it does require a loose tension and using a tapered crochet hook helps too. 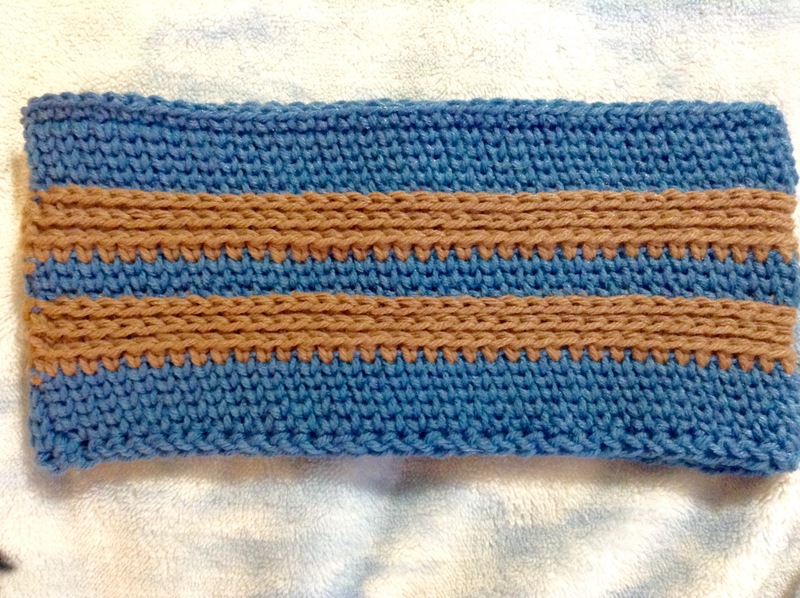 I paired it with the 3rd Loop Half Double Crochet and it added some fun textured stripes within the stockinette look of the Waistcoat Stitch. This pattern is written for one size, but because it is worked in a multiple of 1, it is very easy to size up or down to fit anyone from child to adult. I do plan on getting better photos once I can get some one to model it for me. 7 sts and 10 rnds = 2 inches, if your gauge is a little bigger, that’s ok.
Keep tension loose, may go up a hook size if tension is still to tight with the 6.00mm hook to work the wcs. 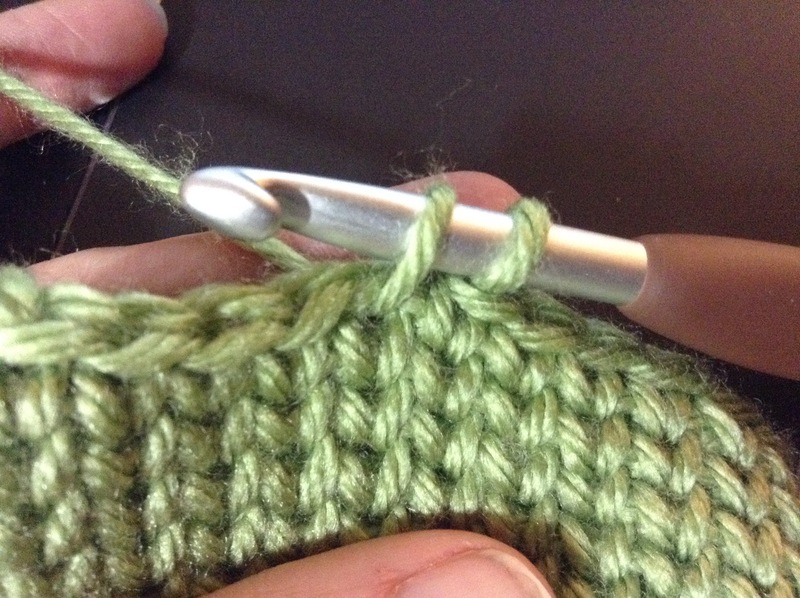 Working with a tapered hook also helps. 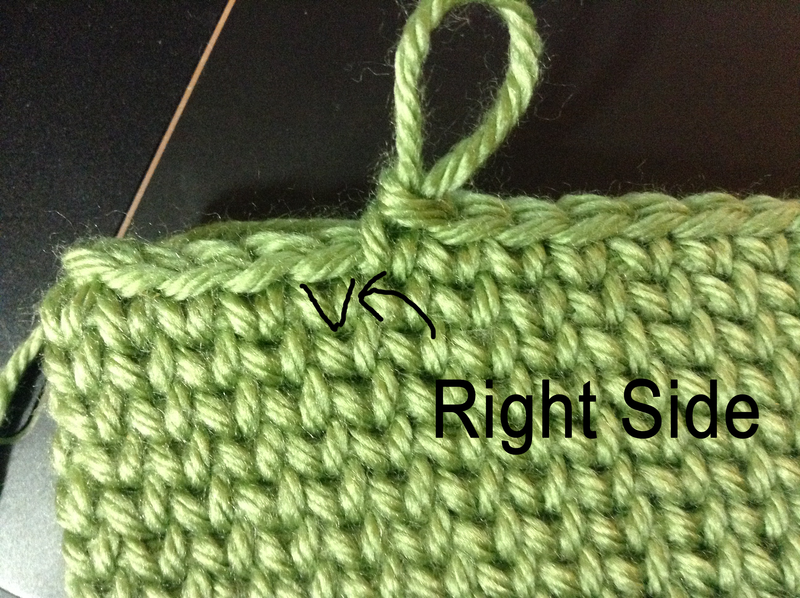 The Waistcoat Stitch in the round will slant a bit. Note: Do not turn at the end of the rounds. change to color B when starting the hdc rnds (rnd 6), changing back to color A when starting the sc/wcs rnds (rnd 9) in the above pattern instructions. Please do not post elsewhere or claim as your own. 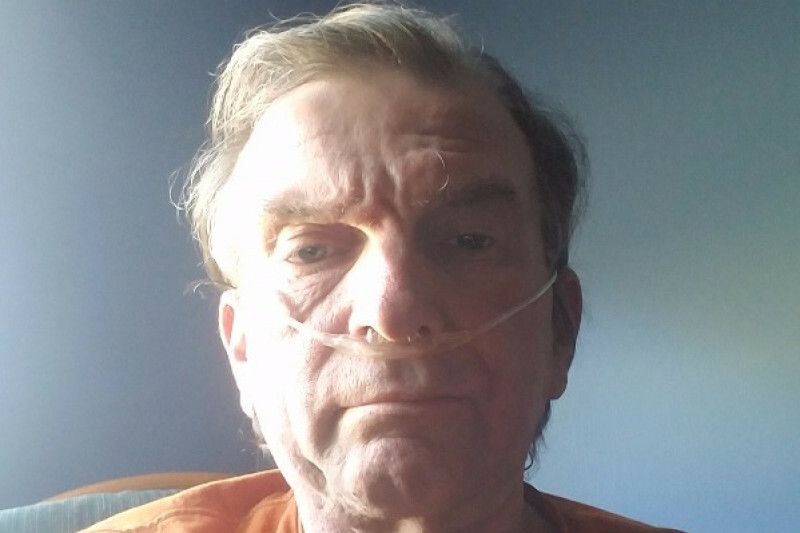 A link back to this WordPress page is welcome and encouraged. This work by Jennifer Christensen is licensed under a Creative Commons Attribution-NonCommercial-NoDerivatives 4.0 International License. Sale of the written pattern is not allowed. Yeah, I know, January is close to half over now, but I am still recovering from the holidays and the end of 2015, and trying to get back on track. After having almost spring like weather all thought December and the beginning January, I am also trying to adjust to the sudden winter weather and the cold air we have here in southeast Michigan right now. My hands get very cold, stiff, and painful, very easily in this kind of weather, so it can make crocheting very difficult. What I really need to do is find where I put the fingerless mitts I made back in the winter of 2014 and start wearing them all of the time. Or I can just make a new pair. I started a couple of fairly ambitious projects last year that pretty much went on the back-burner when I needed to work on the holiday projects and gifts, but I am hoping to get them finished and up for purchase hopefully before summer is here, or at least before Christmas. 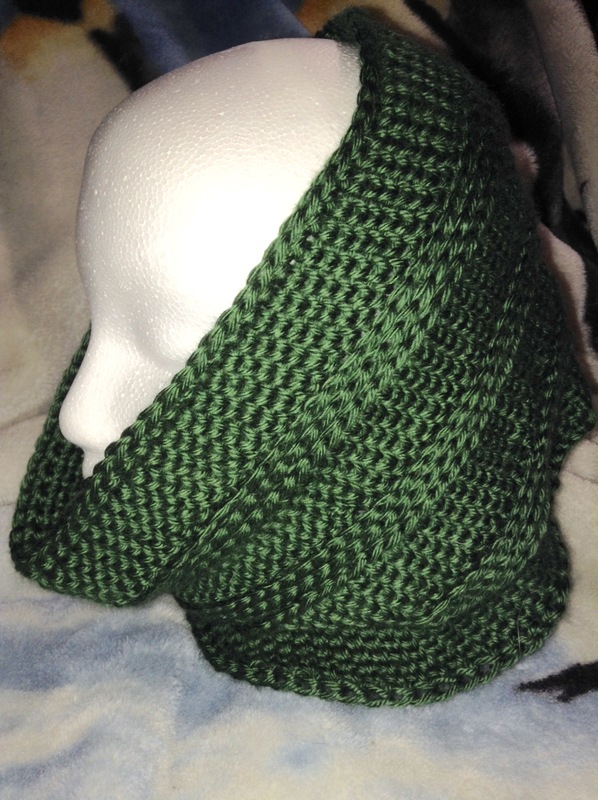 I have the A Hat for All Seasons peasant style slouchy hat written up, but still haven’t gotten the photos taken of the finished hats yet, so my goal for that one is to have up by spring at the latest. I am still working on the shawl eBook also, which still needs a lot of work done and samples to be made, so it’s a good chance it won’t be ready for awhile yet. I do have a new free pattern in the works though. It’s a simple, quick and easy, winter cowl that highlights a vintage stitch called the Waistcoat crochet stitch that mimics the look of the knitted stockinette stitch at first glance, but it yields a heavier fabric than the knitted stockinette stitch. 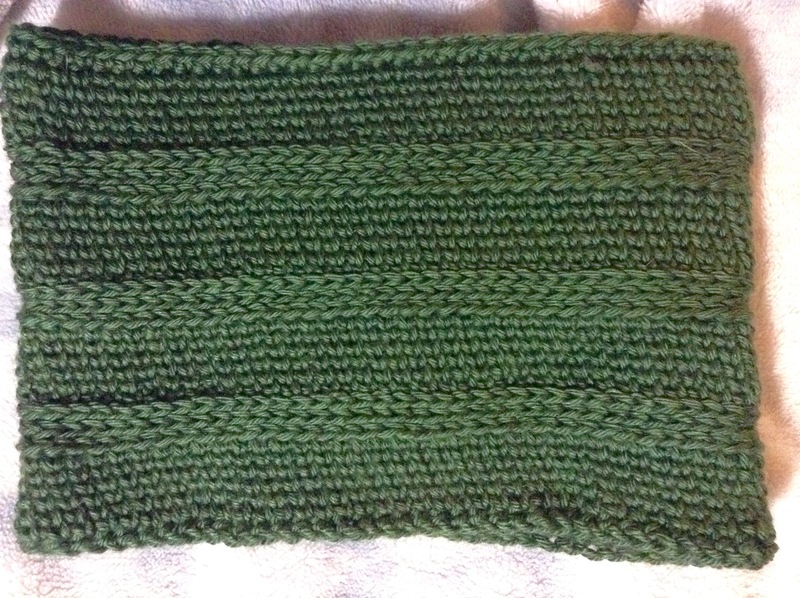 I have it paired up with the 3rd loop half double crochet stitch for a simple stripe like texture to the finished cowl. 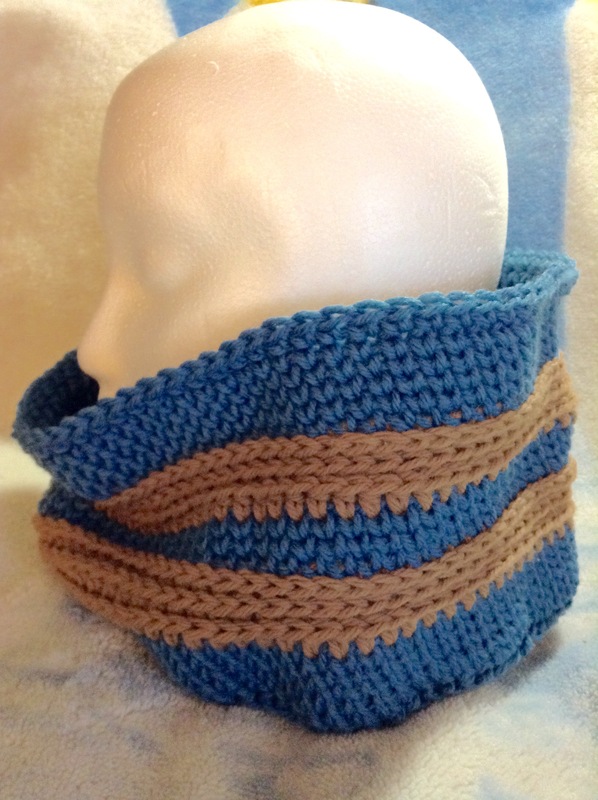 The stitch pattern makes for a wonderful and warm unisex cowl. It will be written for one size, but easily customized for any size desired for men, women, boys, and girls of any age, since it is meant to be made just only slightly larger that your head circumference, but it could also be made to be much longer, or larger circumference, if desired. I made a few up for Christmas gifts and they were a hit with the recipients! I will hopefully have this pattern ready within the next week or so. Keep checking back, I am hoping to have a lot more goodies coming up this year! 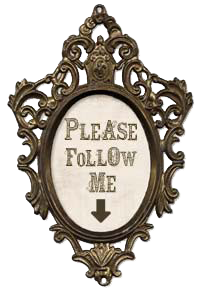 If there is anything you would like see this year, a project, pattern, photo tutorial, etc., please leave a comment! Not Happy with the Changes, Crochet Me. Well, this is disappointing. I haven’t been on the Crochet Me website in awhile, in maybe almost a year, and I don’t like the changes it’s gone through. I’m not sure how long it’s been since the website revamp, but it wasn’t like this when I last visited. My entire profile, including my bio, was wiped, plus I can’t even view my public profile to see what others see, if there is even one anymore. All it had left was my user pic and my user name. I couldn’t even find my patterns that I had posted there very easily. I had joined the site way back in 2007, long before Interweave Press took over, and I liked it much better back then, it was a nice little crochet community with forums and pattern sharing for the amateur designers and crocheters, now it’s all commercial, not a much of a community anymore, in my opinion. I did a search for one of my patterns and I did find it, so through that and clicking on my user name in the post, I found the list of my patterns there. but they can not be found in the “Free Members Patterns” index. I also looked to try to edit one of my pattern pages because I noticed something funky in the text in the summary, but there isn’t any edit button I can see. I would visit to check on my CM profile and update it, if needed, and check on my pattern pages, at least once or twice a year, but now I’m not very inclined to do that anymore. I also had a second account that I used for downloading patterns I find on the email newsletters, but that profile is gone now. I had also found that the link I had to my CM profile on my links list in my sidebar didn’t work anymore, so I updated it, but I’m debating if I really want to keep it there. The few patterns I have on CM, I have here anyway and I’m able to keep them current here, so I really don’t see the point in keeping the link up.